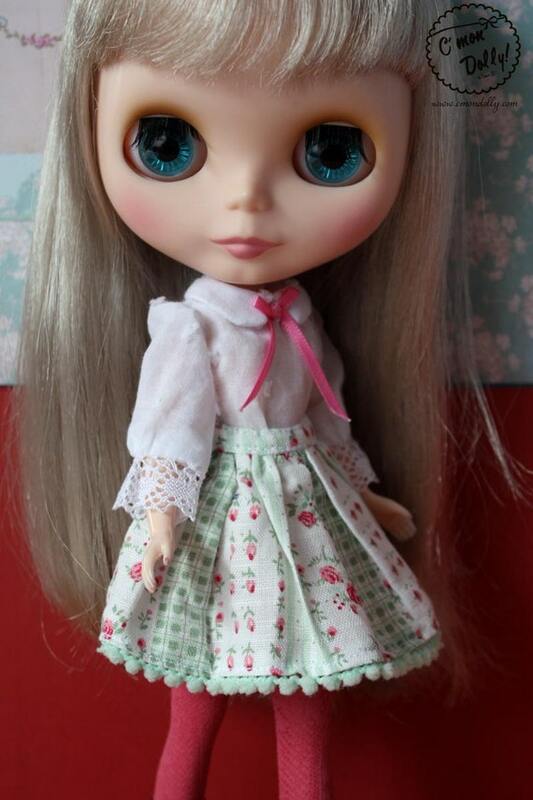 I never do blouse and skirts set, most of the times I prefer just a pretty dress, but in this case I had to combine this two fabrics! 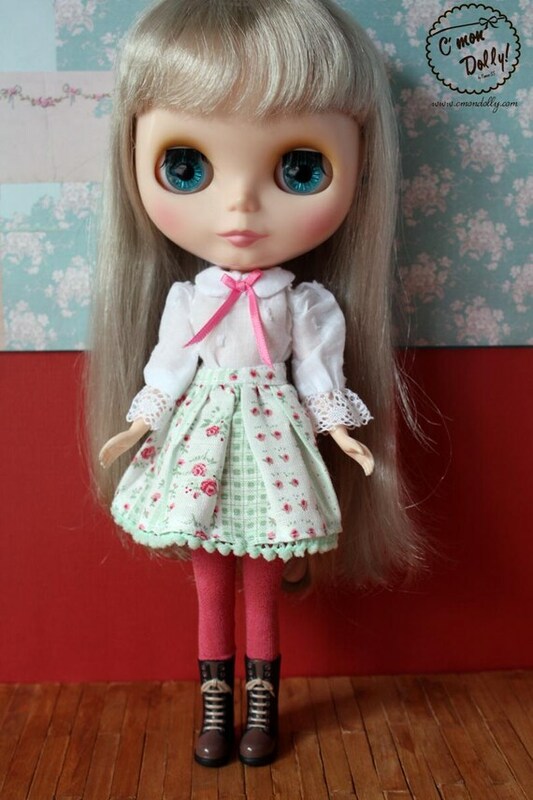 This Lovely Handmade Blythe Vintage inspired skirt and blouse set, It includes: blouse, skirt and tights. 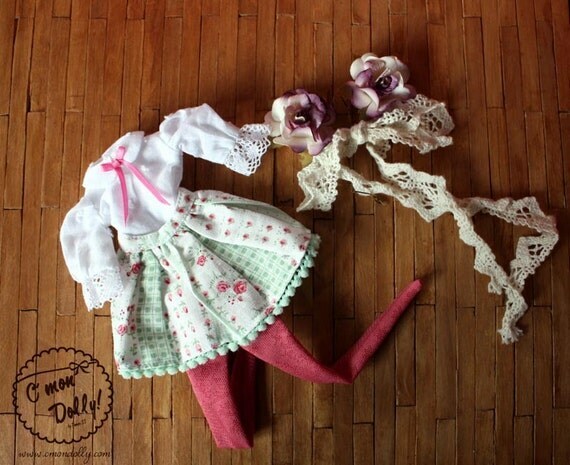 The lovely blouse is made of white embroidered polkadot fabric, with peter pan collar, pink bow tie and lace on the sleeves. The skirt is made of green and pink flower printed fabric with mint green pompoms trimmings. Tights are made of pink textured fabric.